John S. "Rip" Ford was a mover and shaker in Texas for nearly fifty years. He not only participated in most of it's military struggles, but served in the Congress of the Republic and Legislature of the State, and later, in the state Secession Convention. Unlike many of his less fortunate comrades, he lived to tell (or more accurately, write) about his experiences in the Lone Star State. Born May 26, 1815 in South Carolina, Ford spent most of his youth in Tennessee. He came to Texas a few months after the Battle of San Jacinto. After serving in the Army of the Republic, he practiced medicine in San Augustine for eight years. During that time, he also studied law and passed the bar exams. In 1844, Ford was elected to the Texas Congress, where he was an active proponent of annexation. With annexation accomplished, he was elected to the state Senate in 1852. During his checkered career in Texas, Ford was involved in the publication of several newspapers. These included The National Register (later the Texas Democrat), a pro-Houston paper he co-published in Austin in the mid-1840's, and the State Times, which he established with a partner in Austin in the 1850's. After the Civil War, he also became editor of the Brownsville Sentinel in 1868. Ford was a member of the Secession Convention in early 1861. 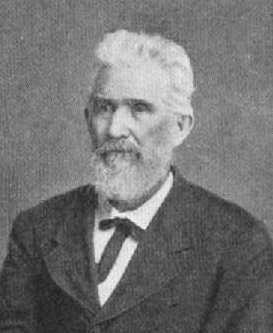 After Texas seceded, he served the Confederacy mostly in south Texas along the border with Mexico. He was a participant in the Battle of Palmito Ranch, fought more than a month after Robert E. Lee's surrender at Appomattox. Ford continued his active pace after the war, but "retired" in 1883 to write his memoirs and promote his interest in Texas history. He became a charter member of the Texas State Historical Association, and contributed one of the first articles to the TSHA's Quarterly. "Rip" Ford died on November 3, 1897 in San Antonio, where he is buried.